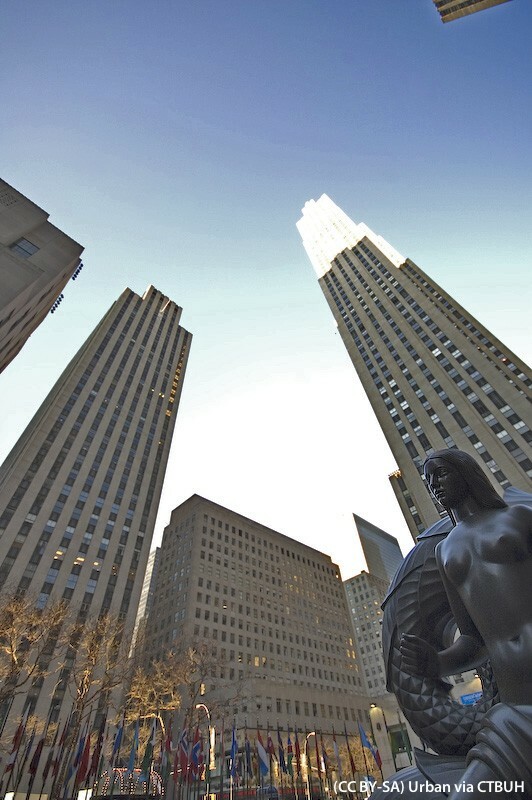 The tour of Rockefeller Center, organized by Tishman Speyer, predominantly focused on discovering what happens “backstage” at one of the most famous tall building complexes in New York City. 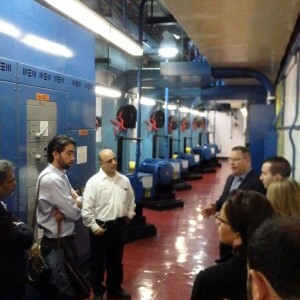 A group of attendees from the CTBUH Conference visited the basement of the 19-tower complex of which 30 Rockefeller Center (formerly known as the RCA Building) is the centerpiece. 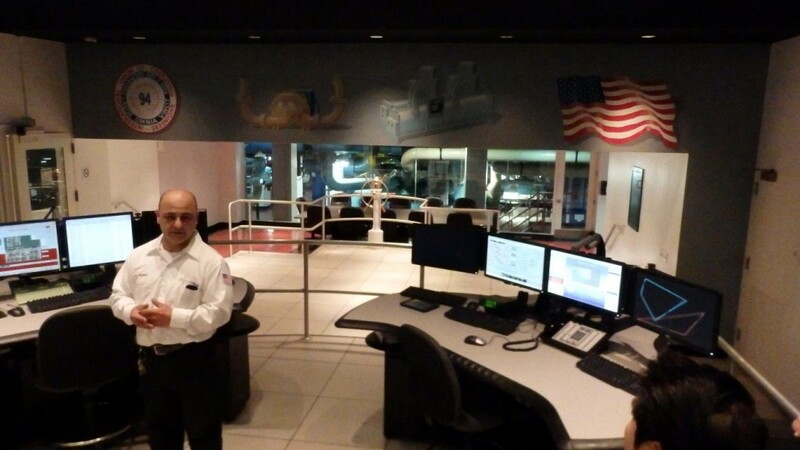 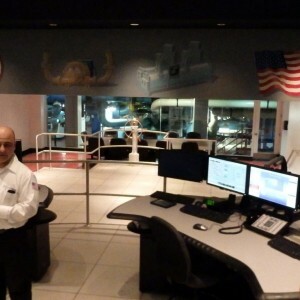 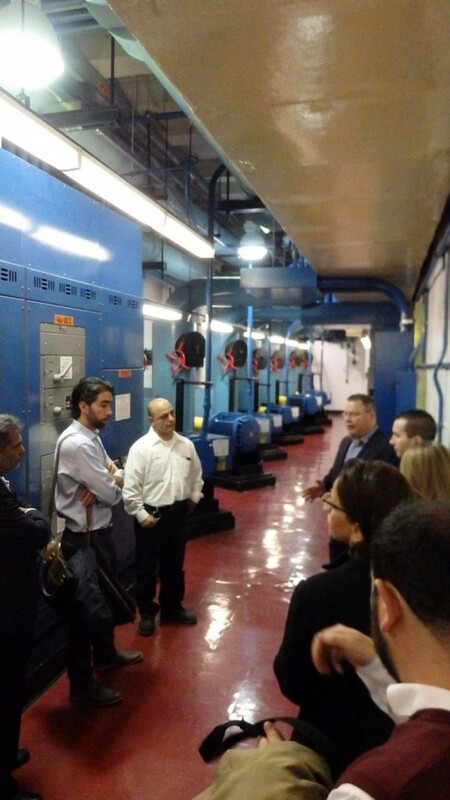 The visit began with an exploration of the massive heating and cooling systems of the tower, starting in the control room. 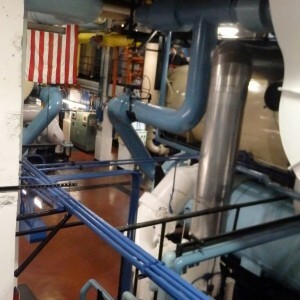 The computers located in this room automatically monitor every fan and heat exchanger in the building, along with a multitude of other pieces of equipment across the 70-story tower and its adjacent buildings. 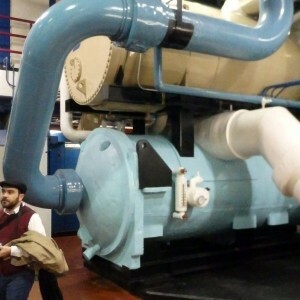 The whole system was modernized to more efficiently control the energy consumption of the building. 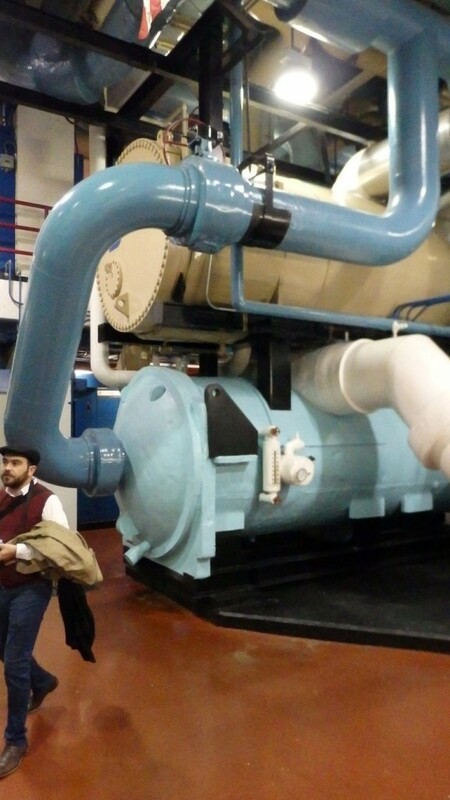 It was completed with a system of tanks that create and store ice during off-peak electricity hours, in which ice melts throughout the next day. 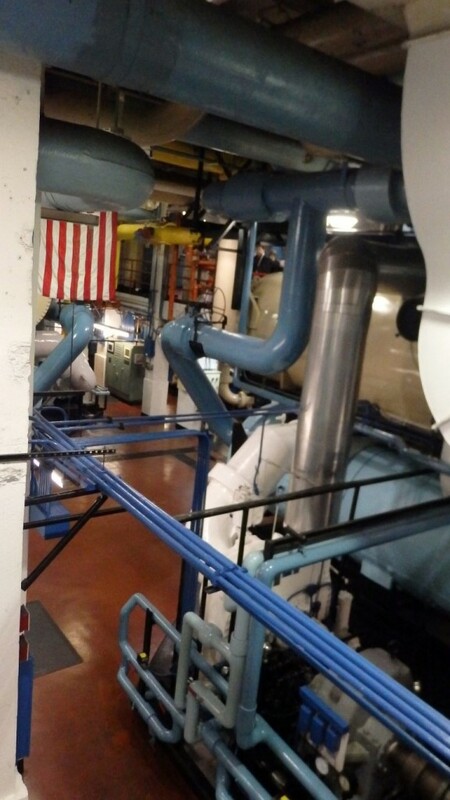 This process saves on the higher energy costs related to peak-hours.